Uttar Pradesh government today suspended two senior energy department officials over the fire incident on a decked-up stage, which was being shared by Prime Minister Narendra Modi and UP chief minister Yogi Adityanath at Aligarh on Sunday. The suspended officials include state power vigilance department’s regional deputy director Sanjay Kumar and assistant director in charge of the Aligarh region Uday Bhan. Meanwhile, UP principal secretary energy Alok Kumar has warned that all those found guilty it the incident would be taken to task and strict action taken against them. 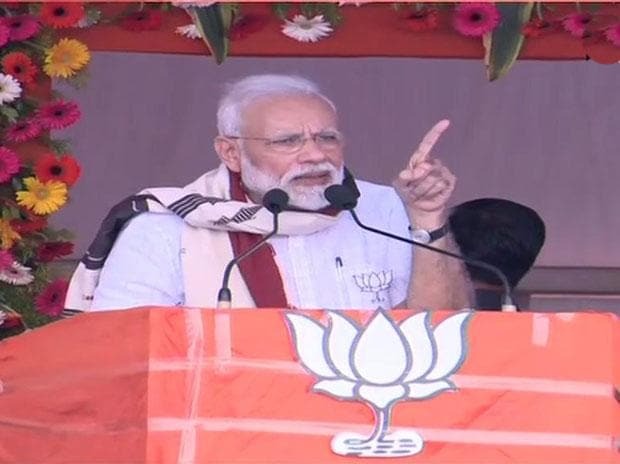 Earlier, a police first information report (FIR) had been filed at Bannadevi police station in Aligarh against three persons, including the two power department officials and a private contractor for gross negligence in their discharge of duty/responsibility, which purportedly led to the sparking and fire incident, when Modi was addressing a public meeting in the Western UP town. Although, the fire was promptly doused and no one was injured in the incident, it nonetheless gave a scare to the officials deployed for the PM’s security and raised questions on the sloppy arrangements. Meanwhile, the probe for the serious security lapse had been handed over to additional district magistrate K K Tiwari. According to sources, a detailed report on the incident had already been submitted to ADGP (SPG) Alok Sharma for action.